So said the writer E.B. White. True on so many levels isn’t it? When I first read this quote I couldn’t get it out of my mind. I love that it is succinct and precise yet also so ambiguous. Cars are by far man’s single most important invention. They have changed and shrunk the world completely and after well over one hundred years continue to move us, fascinate us, bring us together and sometimes to even divide us. Sure there are downsides but these are far outweighed by the positives. That’s what I want to talk about, how these metal boxes on wheels move us literally and figuratively. What is it that inspires us to dream about them, to talk about them and to drive them. Addicted to Cars is not here to talk about the latest models, the power outputs or top speeds that hundreds of other blogs and sites do far better than I ever could. Nor is that where my main interest in cars lie. Don’t get me wrong, I know how powerful my cars are, I can identify almost any car from it’s tail lights at night and I have spent many happy hours just reading the technical specs of any car (from a Yaris to a GT40). I spend a lot of time (let’s face it every spare minute) thinking about, looking at and talking about cars. What’s most important for me though is how they make me feel. The realization that these truly amazing creations genuinely exceed the sum of their parts. For some poor unfortunates cars are merely a means of transport and for others only the technical side matters. Both of these aspects are important but they barely begin to scrape the surface of what a car is or means. Cars are beautiful, complex machines that society has come to take for granted. Can you imagine if you told someone in 1880 that many people in the future would own their own “car”. That it would remain parked outside their house until needed. That it would get them to their destination warm and dry and could easily exceed any speed that anyone had ever travelled at up to that point in time? Mental health experts would have been questioned as to the quickest way to section you. I love what cars do both at a personal and a societal level. If you are reading this it’s likely that you feel the same. If you took a wrong turn on google and are here by accident read on and we will convert you! I have thoroughly enjoyed the hours I have spent thinking through, researching and writing the articles you are about to read. Of course you won’t agree with all the views expressed here. Your comments and feedback are critical. I would love if this site started many conversations and made people look at and think differently about cars. I also want your views to help us look at things from different angles. To this end Addicted to Cars welcomes thoughtful considered contributions and will sometimes post interesting views readers send through (of course retaining editorial control). Every single day I am grateful that throughout our long journey through life we live in an era where we can take all the small journeys in a car. Addicted to Cars is Mick McDaid, a Dublin based Driving Instructor who has a wide, varied and insatiable interest in cars. I love my job and use a Golf TSI as my school car. The family bus is a old MSport E38 BMW. It was a run out model built in April 2001 and is one of the very last cars ever to be equipped with the gorgeous M52TU straight 6. This car certainly deserves it’s own post and it will come! Please feel free to contact me either through the comment section or at mick@addictedtocars.com. Looking forward to hearing from you. 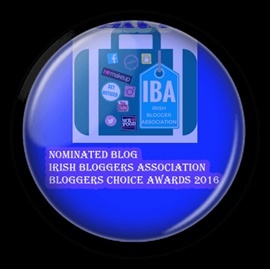 Delighted to be nominated in the newcomer category. Hi Mick, looking good 🙂 g.
Thanks Peter. I appreciate it.